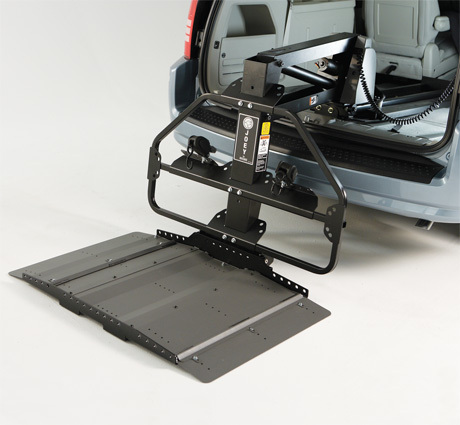 This simple to use product lifts and stores your unoccupied scooter or wheelchair inside your minivan or full size van at the touch of a button. Simply roll your mobility device on the platform from either side, hit a button, and let the Bruno Joey lift and store your mobility device for you. Securement belts are included for safety during transport. An optional barrier system is available for added safety and convenience. Fully powered making operation virtuall effortless - one button operation. "Peace of Mind" Industry Exclusive Safety Barrier includes one-handed operation Retractable Belts. Powered fy the vehicle's battery.